Today the popular trend points towards colored diamonds. Lesser quality diamonds have been treated to make them beautiful and affordable for the average consumer. The diamonds are processed with irradiation and strong heat. This will take a brown or yellow diamond of a poor quality and produce a lovely colored diamond. And the best part is that they are affordable. Through this process the diamonds can turn a stunning shade of green, blue, red, purple, yellow and many varieties of colors. They will most likely retain their color over time, but if there is a need for repair using a high heat the color may change. This process makes diamonds an affordable item to a greater number of people. When a diamond naturally has these lovely colors it is an extremely rare find and will generally cost a great deal. If you find that the colored diamonds you see in the store are reasonably priced, you can assume that they are treated diamonds. You can ask the storeowner about the origins of the stone or if it has been treated. Synthetic diamonds that have been colored are another choice for the consumer that wants a colored diamond. They are lab created diamonds that have been colored. The natural diamonds that become colored achieve their color through different elements that are in the diamond. If a diamond has nitrogen, for example, a yellow diamond will be p roduced. Another way that a natural diamond can become colored is their exposure to radiation while it is being created. This is how a green diamond is created. Its flaws can color a diamond as well. In a clear diamond the flaws are something to be avoided. But when a stone is colored the flaws pick up light and flash color. If you see a colored diamond in the store and it is marked as a natural stone, before you make a purchase you should see a certificate that clearly shows the stone is naturally colored. What is termed a fancy diamond is one that is natural and has color. The colors can be anything from red, purple, green, violet, blue, orange and pink. Any variation of these colors is possible with a natural colored stone. 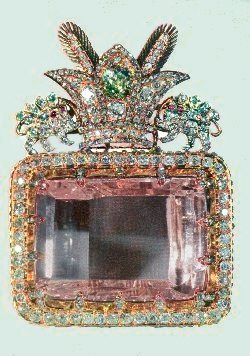 Some of the most famous diamonds have been colored stones. 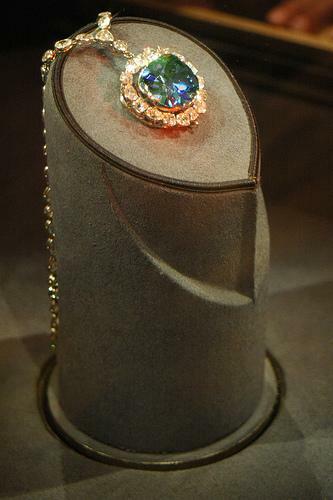 The Hope Diamond is blue and the Tiffany Diamond is yellow. The economics of these colored stones is very positive. The value of a colored diamond has never gone down in thirty years. The price of pink and blue diamonds double every five years. Imagine how much your stone would be worth today had you bought one thirty years ago.